Do anda think that chloe is gay atau bi? What does the scene - hei hilary swank from million dollar baby. - anda don't have to reference a specific actress - prison changed anda -mean?? I LOVED this movie. No seriously, I really loved this movie. I thought I would like it after seeing the trailer since I was already a peminat of acapella back in college. Not to mention, I also have a crush on Anna Kendrick after seeing her in her Academy Award nominated performance in Up in the Air. 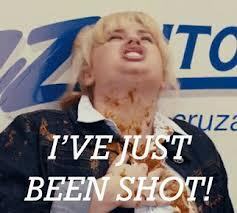 And how can anda not Cinta Rebel Wilson after her hilarious performance in Bridesmaids? Combine these two amazing Pelakon wanita with acapella and you've got a hit movie on your hands. Your kegemaran scene and character.